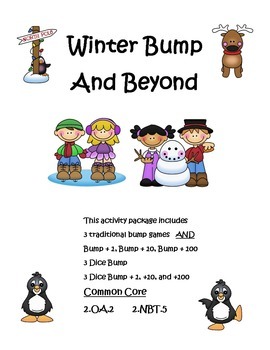 Winter Bump and Beyond math games feature traditional 2 dice and 3dice games as well as +1, +10, and +100 games for both 2 dice and 3 dice bump. 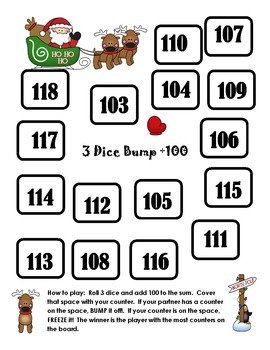 Children can practice math fact fluency with 2 dice bump, mental math with 3 dice bump, and build on place value concepts as they add +1, +10, or +100 to the sums of their dice. Directions are included. All you need to add are dice and counters. Print your boards, laminate, and you are ready to go. 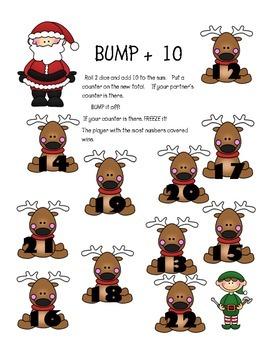 These games feature holiday and winter clip art to keep learning alive during the upcoming holiday season. 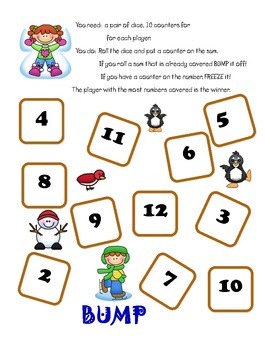 Keep going after the holidays with the winter themed games.